New research from scientists at the University of East Anglia reveals four new man-made gases in the atmosphere that are contributing to the destruction of the ozone layer. New research published in the journal Nature Geoscience reveals that more than 74,000 tonnes of three new chlorofluorocarbons (CFCs) and one new hydrochlorofluorocarbon (HCFC) have been released into the atmosphere. Scientists made the discovery by comparing today’s air samples with air trapped in polar firn snow – which provides a century-old natural archive of the atmosphere. They also looked at air collected between 1978 and 2012 in unpolluted Tasmania. Measurements show that all four new gases have been released into the atmosphere recently – and that two are significantly accumulating. Emission increases of this scale have not been seen for any other CFCs since controls were introduced during the 1990s. But they are nowhere near peak CFC emissions of the 1980s which reached around a million tonnes a year. 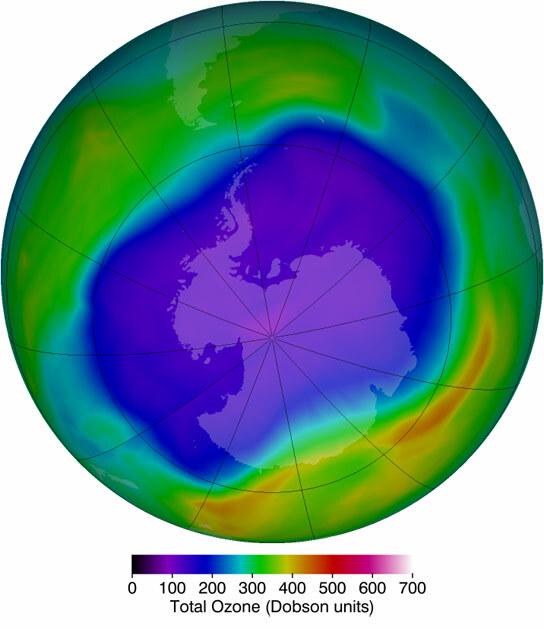 “CFCs are the main cause of the hole in the ozone layer over Antarctica. Laws to reduce and phase out CFCs came into force in 1989, followed by a total ban in 2010. This has resulted in successfully reducing the production of many of these compounds on a global scale. However, legislation loopholes still allow some usage for exempted purposes. “The identification of these four new gases is very worrying as they will contribute to the destruction of the ozone layer. We don’t know where the new gases are being emitted from and this should be investigated. Possible sources include feedstock chemicals for insecticide production and solvents for cleaning electronic components. This research has been funded by the Natural Environment Research Council (NERC), the National Centre for Atmospheric Science (NCAS), the European Union, and the Commonwealth Scientific and Industrial Research Organisation (CSIRO). 1 Comment on "Research Reveals New Man-Made Ozone-Depleting Gases in the Atmosphere"
Gee, maybe they are being put there by all the geoengineering that’s going on now. You want to make a name for yourselves, tackle that issue. Study it, absorb it, and then expose it, please.